This leaves me with a fry pond in perfect condition for fry, but still without any hatchlings to put in there. And let me tell you I've really tried! So, another variation away from the grand plan is required. 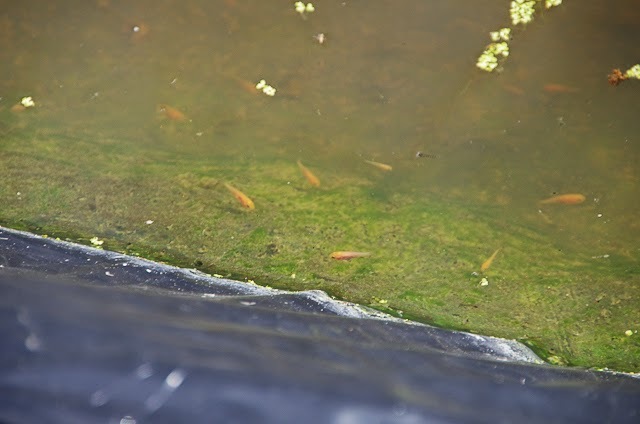 My current thinking is that I harvest the kohaku #1 fry in a couple of weeks time. Then move the keepers indoors into one of my grow on tanks; empty the fry pond, put a new liner in it and fill it up. 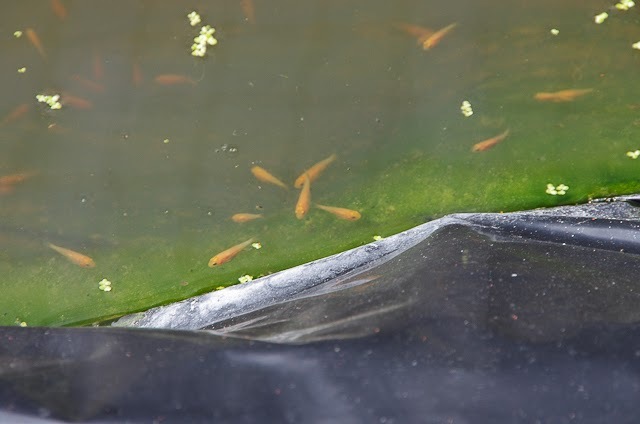 then see it with say, 25% of the water from the other fry pond - to try and cycle the fry pond in a week or two rather than 4 weeks. 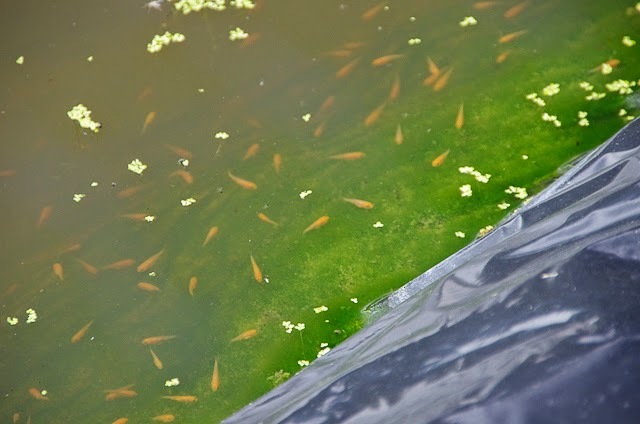 That could leave me with 2 fry pond ready for hatchlings in the first week of July. At that point, my brood fish would have had a month off spawnings and I could try both my showa sets again. You never know, if it actually works (when I try them the 3rd time! 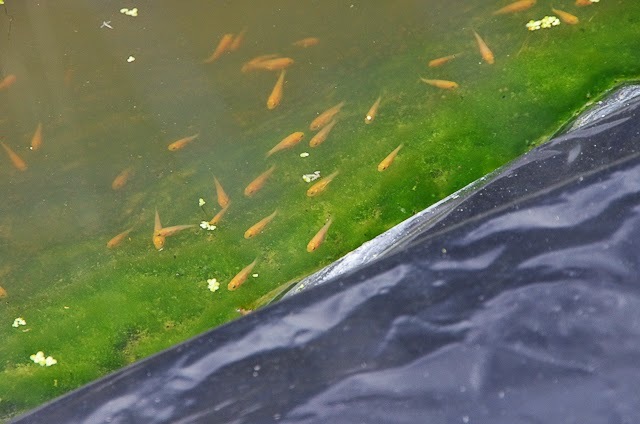 ), then I could have both fry pond filled with showa and harvesting them for first selection around mid august time.